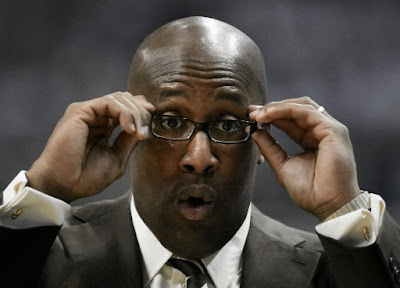 Mike Brown is a worthy recipient of the NBA's Coach of the Year Award as he led the Cleveland Cavaliers to the best record in the league and one of the best home court records in history. Just a couple of years ago, you couldn't fend off the rumors that he should be fired because he wasn't using LeBron correctly or getting enough out of his team or he was too focused on defense or...the list goes on. So congrats to MB! Rick Adelman finished 2nd while leading his team to a worse record this year with one of the most veteran squads. Stan Van Gundy finished 3rd while adding 7 extra wins and probably deserved to be in the top 3. In fact, you could argue he deserved to win the damn thing.